Located on the slopes of the volcanoes around Atitlán Lake, the Atitlán region has the richest soil in Guatemala. Full of nutrients, generously bathed in sunlight, and at altitudes of more than 1,500 meters, this land is responsible for more than 90% of coffee production in the area. 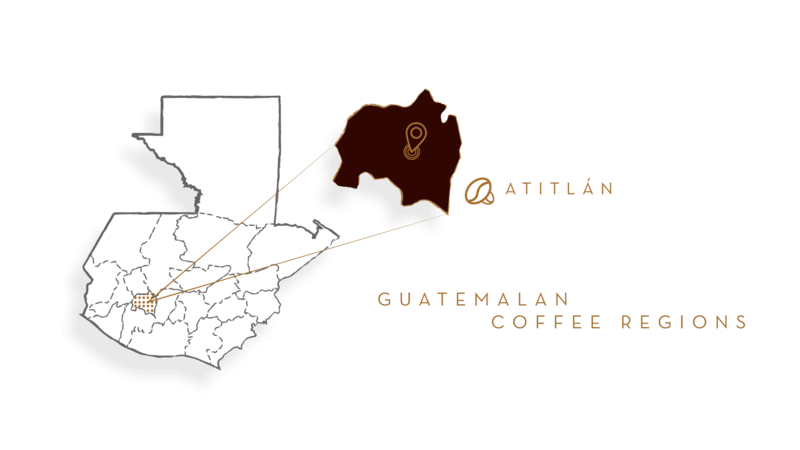 Here, local coffee producers have preserved traditional techniques in both cultivation methods and processing. Deliciously aromatic, this medium-dark roast has a marked citric acidity, the aroma of vanilla and flowers, and a full body.